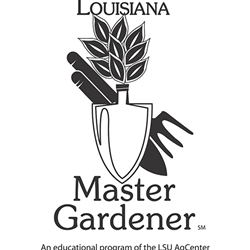 The Advanced Louisiana Master Gardener Program is open to current Louisiana Master Gardeners in good standing who have completed at least a year of volunteer service and all initial educational requirements. Master Gardeners enrolled in the Advanced Louisiana Master Gardener Program are expected to complete all three program phases and demonstrate mastery of concepts by passing exams with a score of 70 percent or higher. Advanced Louisiana Master Gardener volunteers also are expected to present information to public (Louisiana Master Gardener groups, civic organizations, etc.) and maintain volunteer service hours and required continuing education. Click here for the editable registration form. Registration closes on April 6, 2015.